Avyve recently completed audio visual work in Emory's Rose Library. The Stuart A. Rose Library collects stories of human experience, promotes access and learning, and offers opportunities for dialogue for all wise hearts who seek knowledge by preserving distinctive collections; fostering original research; bridging content and context; and engaging diverse communities through innovative outreach, programming, and exhibitions. When designing conference spaces for the Rose Library it was important that all of the audio visual technology could be hidden and out of the way when not in use. Drop down projection screens were placed in conference rooms with scenic views overlooking the Atlanta skyline. Meeting participants have easy access to share and power their devices through a cable cubby in the table and can control the entire system through an intuitive touch panel user interface. Emory built floor-to-ceiling windows in the Rose Library to make the most of the stunning views, and also to invite in the wonders of the natural and built environment as part of the experience and inspiration in the new space. Library Director Rosemary M. Magee has stated that the holdings of Emory's Rose Library have become "an interdisciplinary crossroads where people from all different backgrounds, lands, and languages come to engage in research, teaching, and learning." Avyve recently completed work at Crown Castle in Phoenix, Arizona. Crown Castle provides infrastructure for broadcasting, mobile telephony and wireless broadband including small cell, traditional cell sites, rooftop sites and indoor/outdoor distributed antenna systems. It provides mobile telephone coverage to all of the top 100 markets in the US on behalf of service providers such as Verizon, AT&T Mobility, Sprint and T-Mobile. The large board room pictured above utilizes a 130” projection screen and includes video and teleconferencing technologies for long distance meetings. The high-top huddle room table is the perfect collaboration system for medium sized groups. The system is controlled via a 7” Crestron touch panel on the table that allows for simple source switching and basic system control. This small huddle room utilizes a trapezoidal table so that all of the meeting participants can view the 70” presentation screen without obstruction. Easy connections at the table allow for multiple devices to connect. A more traditional VTC room is used for smaller video conference meetings. A trapezoidal table once again provides participants on the near and far end un-obstructed views of the important content. Duel screens mounted with backing that is tilted towards the table allow for better viewing angles and a more immersive VTC experience. The system is controlled via a 10” creston touch panel using Avyve’s standard UI built from the ground up for simplicity and ease of use. Cardlytics, Inc. provides card-linked marketing services for customers in the United States and internationally. Recently, Avyve and Cardlytics worked together to design engaging audio visual spaces at their new office in Ponce City Market. Cardlytics' multipurpose room was designed to capitalize on the large open spaces found throughout Ponce City Market. Pendant speakers hang from the ceiling, offering an immersive soundscape while two projection screens easily lower to provide ample visibility of the displayed content for all participants, and seamlessly controlled via an integrated touch panel. Completing the space, Cardlytics furnished the room with modular cube seating that is easily arranged into whatever configuration is needed. Designed for a variety of uses, the huddle rooms at Cardlytics are equipped with Epson ultra short throw projectors. The projectors were installed in conjunction with anti-glare whiteboards, allowing users to transition between projected content and note-taking at any time. Audio conferencing capabilities, paired with noise-cancelling table microphones and recessed ceiling speakers, provide a rich listening experience for all participants, whether in the room or on the far end of the conference call. Board meetings, and other high-level gatherings, are enhanced with integrated table connectivity for multiple laptops, as well as the same high-quality conferencing and presentation capabilities seen throughout Cardlytics' state-of-the-art office. Jamestown Properties recently worked with Avyve to design and build their audio visual spaces in their new location at the Ponce City Market. Jamestown was established in 1983 as an investment and management company focused on income-producing real estate in the United States. Over the last 32 years, Jamestown has expanded into a national, vertically integrated real estate operator with approximately $7.6 billion of assets under management. Jamestown’s large conference room has seating for over 20 people and includes marble tables that can be rearranged to suit any participant’s need. A large projection screen at the front of the room easily allows all participants to see the shared content clearly. Team members utilize a spacious ten-inch touch panel to control and monitor the audio visual technology in the room. Connection points are conveniently located at the front of the room for presenters with laptops or tablets. In less formal meetings, where technology is unnecessary, the projection screen seamlessly retracts into the ceiling. Jamestown uses its divisible multipurpose room for Town Hall Meetings; the glass privacy walls on either side of the conference rooms slide back to create a larger open space, providing additional seating to facilitate larger groups. Coupled with an easy-to-use touch panel, the presenter can easily share pertinent content across the three screens. Avyve also assisted Jamestown in designing a modern break room in which employees can sit back and relax while keeping an eye on the latest news or sports updates. Our team worked closely with the architects to design a recessed 123” projection screen within the wood paneling of the wall, allowing the technology to fade away when not in use. Avyve also incorporated pendant speakers into the area to compliment the open design of the room while providing excellent sound quality. Avyve worked closely with Jamestown to insure all of their office audio visual and collaboration needs were met while completing the project on time and on budget. Gray TV is a television broadcast company headquartered in Atlanta, Georgia, that owns and operates television stations and leading digital assets in markets throughout the United States. They own and operate television stations in 44 television markets broadcasting 139 program streams including 76 affiliates of the Big Four networks (ABC, CBS, NBC and FOX). The broadcast company reaches approximately 8.1 percent of total United States television households. Gray TV recently partnered with Avyve to design and build audio-visual systems for their lobby, break room and conference spaces creating a fresh and current workplace collaboration spaces for employees and guests alike. The first experience upon entering the lobby is the large video wall displaying Gray TV’s numerous assets. Content includes news broadcast to commercials that are owned and produced by Gray TV. The 2x4 video wall has windowing capabilities allowing any content to be displayed on the flat panels at anytime. A video can easily be stretched across displays and the content creator is not limited by the bezels on the flat panels. 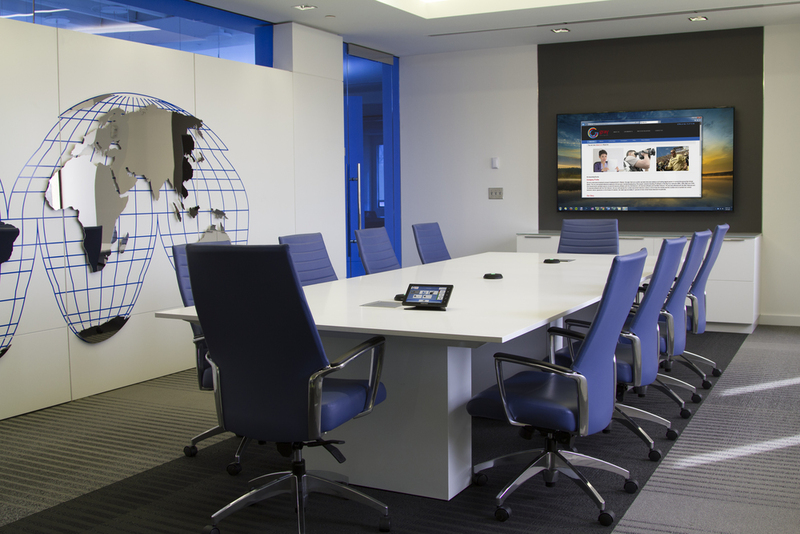 The main conference room incorporates a touch panel that allows for full control of the technology within the room. Two cable cubbies on the table allow participants to easily plug in a laptop or tablet to share on the large flat panel display. The room also contains ceiling speakers and integrated table microphones for seamless audio conferencing. Gray TV’s break room includes a 70” display for watching TV during lunch and break times. Avyve worked closely with Gray TV to insure that all of their office audio visual and collaboration needs were met. The project was completed on time and on budget. 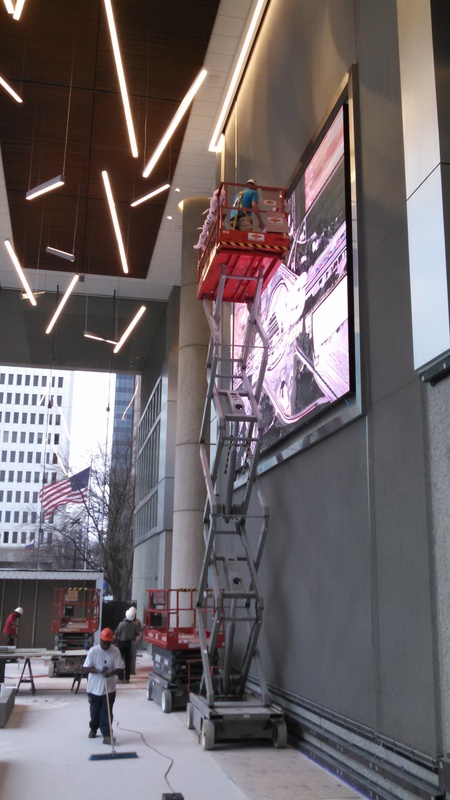 Avyve recently completed the installation of a 28-foot-diagonal NanoLumens display in Norfolk Southern’s operational headquarters lobby, located in midtown Atlanta. 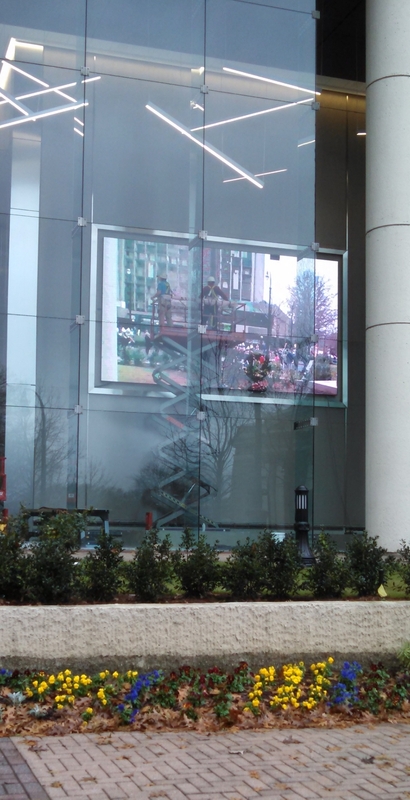 Viewable from Peachtree Street, the display wall showcases marketing material for the premier transportation company. The display employs NanoLumens NanoSlim technology, which is thinner, lighter, cooler, and more energy efficient than typical large screen displays, allowing for better viewing angles and giving content creators the ability to deliver inspiring large-scale end-user experiences. Founded in 1986 as an athlete management and marketing firm, CSE (formerly Career Sports & Entertainment) has evolved into one of the longest-running and most-diversified independent marketing agencies in the country. CSE helps businesses and brands connect with consumers and fans through multi-dimensional strategy building and execution across a range of diversified areas. For CSE's primary conference room it was determined a video wall would be a great solution to deliver the contrast and vibrancy CSE wanted to achieve in a space highly lit with ambient light. Avyve also had to design around a garage door that lifted in to the ceiling and impeded the placement of a projection system within the room. The end result is a beautifully designed room with elegant technology that meets the requirements of the client. Another unique space at CSE is their Social Media Wall. The wall displays important content for employees and visiting clients alike. Trending news, videos, and the social media statuses of CSE and their clients are monitored daily. The wall is also used to present the CSE story through the use of an iPad custom programmed to control the content displayed on the media wall. Along with the formal meeting and conference rooms, CSE wanted additional spaces where more casual conversation and collaboration could take place. CSE understood different types of meetings can require vastly different furniture and technology, and Avyve worked closely with CSE to execute their vision. 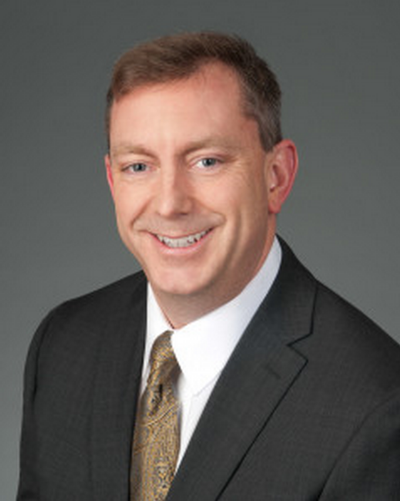 Avyve is pleased to announce the promotion of Chris Bell to President & Chief Operating Officer. Chris is an original founder of Avyve and has held the position of Chief Technology Officer for fifteen years. Chris Bell has been in the audio visual industry since he graduated from college. He is considered by many manufacturers to be one of the best engineers and technical minds in the industry. Through his mentoring and guidance Avyve has developed a management team second to none. In 2013 Matt Adams was promoted to Vice President of Engineering and Marianne Marcheso was promoted to Vice President of Service Administration. When not working Chris spends time traveling with his family and is an avid runner. He has participated in both the Spartan and Tough Mudder series over the years. His goal for 2014 is to run his first ultra trail marathon. Avyve is a nationally recognized audio visual system integration firm headquartered in Atlanta, GA. Architects, Interior Designers and Real Estate alliance partners trust Avyve with their audiovisual design and consulting needs to provide constructive insight on every project. Corporate, Higher Education and Public Sector clients rely on Avyve’s installation, training and maintenence services for presentation, collaboration and meeting spaces. Focused on consistent processes and performance, Avyve delivers integrated audiovisual systems which dovetail each client’s technology strategy and ability to communicate, engage and interact. Elekta is a global medical device corporation based out of Sweden with a North American Headquarters located in Atlanta, GA. They develop systems and tools to treat cancer and brain disorders. When redesigning their Atlanta Headquarters they asked Avyve to be included in the initial stages until the end of the project to help work through the audio visual components and overall functionality of the space. The headquarters highlights an Experience Center for investors and visitors to learn more about Elekta’s contributions to the medical device industry. The Experience Center features multiple areas including several themed sections, a resource center and an informational kiosk. Every area incorporates multiple interactive and audio visual elements. Both the Avyve Project Development and Project Engineering teams contributed to the overall success of the project. Mark Harris, Avyve’s Project Developer said, “The Elekta Experience Center was a unique project to complete. Each area of the showroom is filled with information, but the material and audio visual elements were placed with intention to keep everything impactful.” A lot of the marketing material was fixed, but technology was incorporated with the audio visual components to easily update certain parts of the data and communication. The VP of Project Engineering, Matt Adams, says, “A lot of clients think of Avyve for conference rooms and collaboration spaces, but the technology can be integrated into various spaces for diverse purposes. Digital signage is a significant part of what we are being asked to design and integrate recently.” The project was completed on time and in budget. Healthcare Georgia Foundation is a statewide, private independent foundation. Through its strategic grantmaking, Healthcare Georgia Foundation supports organizations that drive positive change, promotes programs that improve health and healthcare among underserved individuals and communities, and connects people, partners and resources across Georgia. Healthcare Georgia Foundation recently partnered with Avyve to create compelling audio visual spaces for their new office. The main board room was designed to accommodate a variety of meeting styles. A large presentation screen dominates the center of the room flanked by SMART Interactive White Boards on both sides. The SMART Boards allow participants to brainstorm and write down meeting notes during a presentation. A high powered USB webcam was installed in the ceiling for video conferencing and broadcasting live webinars. The room also has the capability for full audio conferencing when required. When designing the large conference room Avyve took extra care to create a simple yet intuitive space that would meet all of Healthcare Georgia Foundation’s daily meeting requirements. A widescreen projection system ensures that different types of data can be easily viewed from all seating positions within the room. Multiple connection points at the table allow anyone to share their laptop or tablet screen. An intuitive touch panel design allows the presenter to control the room easily and effectively. The table has a slight trapezoidal shape so that participants do not need to look around each other to see the content at hand.